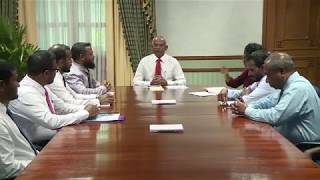 The organising committee of the golden jubilee festivities of Ihavandhoo School, North Thiladhummathi Atoll, has briefed President Ibrahim Mohamed Solih on the celebratory agenda. 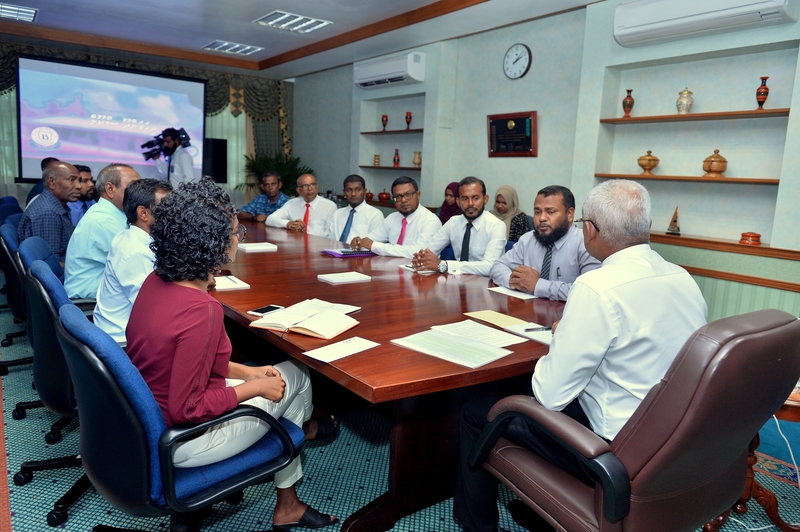 At a meeting held at the President’s Office today, members of the committee highlighted the remarkable achievements of Ihavandhoo School, and the development it has seen in its 50 years. Members especially noted the high level of participation from the island community in every successful endeavour of the school. Speaking at the meeting, President Solih reiterated the administration’s commitment to resolving the people’s needs. He particularly noted that education is a priority area of the administration, and assured of its continuous support and cooperation.